Preheat oven to 325o Fahrenheit. Score ham, and stud with the whole cloves. Place ham in foil lined pan. In the top half of a double boiler, heat the corn syrup, honey and butter. Keep glaze warm while baking ham. 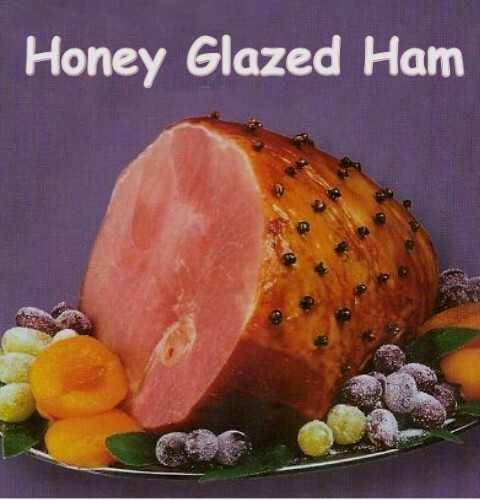 Brush glaze over ham, and bake for 15 minutes per pound in preheated oven. Baste ham every 10-to-15 minutes with the honey glaze. During the last 4-to-5 minutes of baking, turn on broiler to caramelize the glaze. Remove from oven, and let sit a few minutes before serving.